Last month's Create Freedom Online Workshop was a big success thanks to some brilliant speakers, a collaborative venue and a group of ambitious, passionate individuals who are eager to learn the ropes of launching into a freedom lifestyle through an online platform. So we're doing it again! This time, the workshop will be led by three speakers who will help you establish a solid financial foundation to transition from being self-employed to becoming an entrepreneur, start a blog to launch your freedom lifestyle, and harness the power of social media to build and strengthen your relationship with your audience. Fitz Gerard Villafuerte will give you an easy-to-follow, step-by-step guide on how to establish a solid financial foundation despite having an irregular income as a freelancer. He will give practical tips on how to grow your savings, protect your assets and ultimately, how to transition from being self-employed to becoming an entrepreneur. Fitz is a civil engineer who decided to quit the corporate world back in 2003 to pursue entrepreneurship. His blog, Ready To Be Rich, has received several recognitions including the Best Business and Finance Blog at the Philippine Blog Awards. He has also been recognized by Moneysense Magazine as among the top 12 most influential people in Personal Finance in the Philippines. Currently, he's the co-founder of 199Jobs.com, a micro-freelancing marketplace for Filipinos; a Registered Financial Planner delegate; and a Marketing Director of the IMG Wealth Academy. Martine de Luna will show you how blogging can get you started — and make you successful — in a lifestyle that supports your values and vision through tips, real-life scenarios, and even her own mistakes. She will show you how to use your blog to get your ideas out into the world, create a community around your platform, and build an authentic, loyal following for your personal brand and even your business. After working for ten years in several jobs which included being a musician, English teacher and church volunteer, Martine bid the workforce farewell to become a full-time mother. It was then that she decided to explore the world of blogging and freelance writing — a path that eventually led her to her current mission as a “bliss finder” which supports her belief in creating one's own happiness in life, work or love. Through her online involvements, she has been offering freelance digital platform coaching and has built and branded several lifestyle blogs in the Philippines and abroad for women entrepreneurs, creatives and fellow "blissmakers." All the while, she has been running her award-winning women's blog MakeitBlissful.com, which now has an international roster of writers. Martine's most recent venture is Manila Coworking, a coworking facility operating within Southeast Asia's only craft beverage incubator. Yoshke Dimen believes that social media allows brands and businesses to build and strengthen their relationships with their audience. And like most relationships, it's all about trust, happiness, and effective communication. He will discuss how to harness the power of social media in capturing your audience, keeping them engaged and excited, managing crises, and building one big happy family online- all for the benefit of your brand. Yoshke is a social media marketing consultant by profession who started his career in digital marketing through a personal blog. 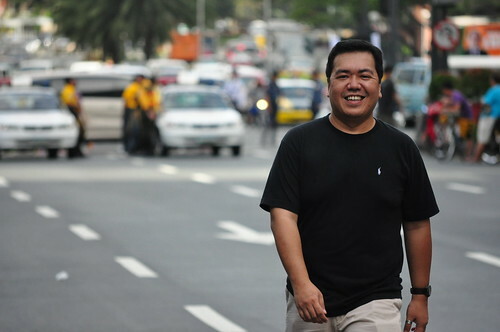 Since then, he has developed social media and content strategies for a number of corporations including AirAsiaGo, Expedia, PAL Express, and Globe Telecom. 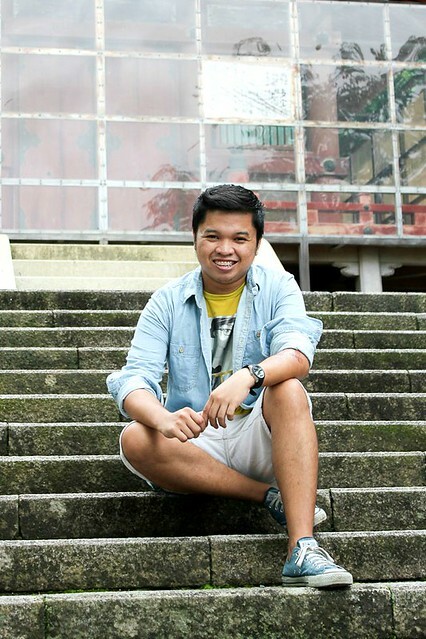 In 2012, he quit his full-time job and with this new found freedom, he focused on his personal projects that include the travel blog The Poor Traveler, and PhilippineBeaches.org, one of the biggest travel communities in Asia. Contact # +6326617616 or email: freedomworkshops@gmail.com to register or reserve your slots. This event is organized by the travel blog wearesolesisters.com in cooperation with colab co-working space. Our event partner is Cebu Pacific. Our sponsors are Agoda.com and MNL Hostel Boracay. Our media partners are PhilippineBeaches.org, and WhenInManila.com. 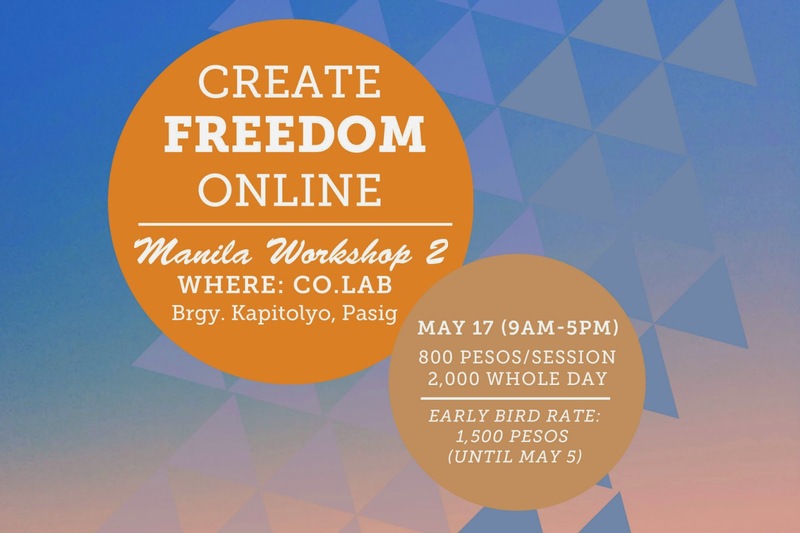 In "Creating Freedom Online", mentor, travel blogger, professional wanderer & entrepreneur Lois Yasay curates the most helpful industry experts and connects them with fledgling artists, entrepreneurs and change-makers. In three "master classes" within one day, padawans can learn how to cultivate a Jedi mindset and habits that will see them through their own personal quests in work and life. The workshop was just an overall great experience. It's a great, casual venue where you can completely be yourself and meet a lot of interesting new friends. It's always a treat to learn form other people's stories. Listening to the speakers' first-hand experiences about passion, travel and entrepreneurship gave me a whole new perspective. It has definitely inspired and motivated me to stop dreaming and start acting! If you're looking for that "umph", that extra push, that hint of inspiration to get you going, this workshop will do all that and more. The workshop was fun, engaging and informative - definitely worth your time and money! It helped me focus on the things that matters to me most and take action for it. Now I'm on my way on making all that happen! You should attend because you might just find here what you've been searching for all your life. The workshop was fun and casual, and the best part was that the speakers and the participants were very approachable. I was able to build new connections to further guide me in my next steps to freedom. If you are currently lost, stuck in something you feel is a dead end, or already have plans on pursuing your passions, maybe you should give this workshop a try. You might find help here. I did! I wish you have this course available online also so people like me who are away can still attend. Cheers! Sayang di ako naka attend. sana next time maimbitahan ako.